COMMUTERS traveling south on Friday, April 19, and Sunday, April 21, can expect three to four hours of traffic because of Holy Week activities in the towns of San Fernando and Minglanilla. Jonathan Tumulak, Capitol's focal person on traffic management, said there will be a grand procession on the national highway, starting at the San Isidro Labrador Parish, right after the mass at 6 p.m. on Good Friday. The activity will take some time since all the saints' statues and icons inside the church will be put on parade, he said. The procession route will affect the first corner before the North Central School up to the corner beside the church. “Who witnessed the last fiesta in San Fernando? Imagine all the people who participated in the fiesta procession and then multiply that by three. 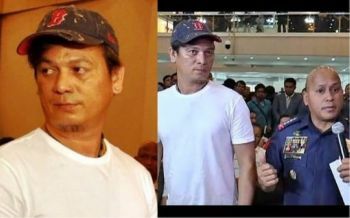 That will be the crowd on Friday,” Tumulak said in Cebuano. He said the crowd estimates were given to him by the priests in the church. He explained that the procession is a time-honored tradition in the town. That is why he is asking commuters not to get caught by it. He said there will be a detour, but the diversionary road cannot accommodate big buses. On Easter Sunday, Minglanilla will hold the Kabanhawan Festival, which, Tumulak said, is an annual event. He urged southern motorists to leave for their destinations early so they won't get caught by the road closure. The 10 contingents from different schools and barangays in the town will gather at the Anjo World Theme Park in Barangay Calajoan around 2 p.m. This is expected to slow down traffic since the contingents will be on the national highway with their props and floats heading to the assembly area. The festival is expected to start at 4 p.m. By then, portions of the national highway from the traffic light in Barangay Calajoan all the way to the front of the Municipal Hall will be closed. The contingents will head to the new town complex where they will perform. From the assembly area, the contingents will head to the national highway, walk until they reach the front of the Municipal Hall and then make a left for the complex. Tumulak expects the activity to take around two hours. For vehicles from the south heading for the city, there will be a detour going to Barangays Tungkop and Tulay and emerging at a portion of the national highway in Barangay Calajoan that will remain open for the activity and vice versa for vehicles from the city heading for the south. Since the diversion roads are narrow, Tumulak urged drivers, especially those of buses and mini buses, to take it slow. “That's why I'm asking those who have a delivery to make or those who have errands to do on either day to leave very early or wait until the national highway is reopened,” Tumulak said in Cebuano. Tumulak is also the manager of the Cebu South Bus Terminal (CSBT) in Cebu City. 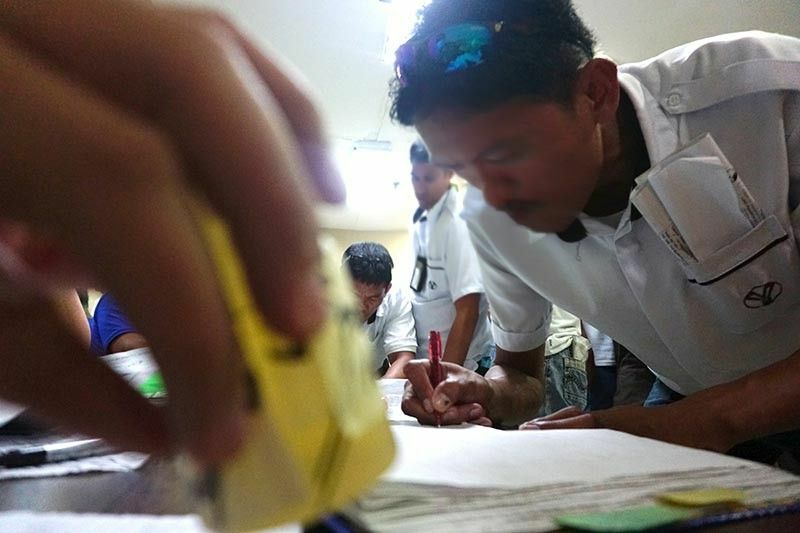 In another development, 736 bus drivers, conductors and other bus personnel underwent a surprise drug test during the Oplan Huli Week conducted by the Philippine Drug Enforcement Agency (PDEA) 7 in Cebu, Negros Oriental and Bohol on Monday morning, April 15. PDEA 7 teams went to the bus terminals in the cities of Cebu, Mandaue, Dumaguete and Tagbilaran. Four persons in Tagbilaran City tested positive during the initial test. The results will be subjected to a confirmatory test. PDEA 7 information officer Leia Albiar-Alcantara said 139 bus drivers and conductors submitted their urine samples at the Cebu North Bus Terminal (CNBT) in Mandaue City; 179 at the CSBT; 132 in Dumaguete City; and 286 in Tagbilaran City. She said the Land Transportation Office 7, Land Transportation Franchising and Regulatory Board 7, Police Regional Office 7, Department Of Health 7, Cebu Provincial Anti-Drug Abuse Office and the provincial governments of Cebu, Bohol and Negros Oriental provided PDEA 7 with drug testing kits. According to PDEA 7 Director Wardley Getalla, Oplan Huli Week targets to prevent drivers who are hooked on illegal drugs from driving buses as they might endanger passengers and pedestrians. Bus driver Federico Villamor of Vallacar Transit was one of the drivers at CNBT who submitted their samples.